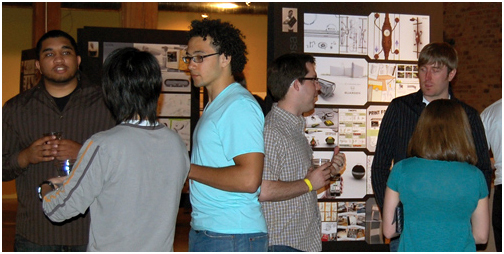 The 2009 Purdue University Senior Design Show and the first ever Mouth Off competition were hosted by TEAMS Design. 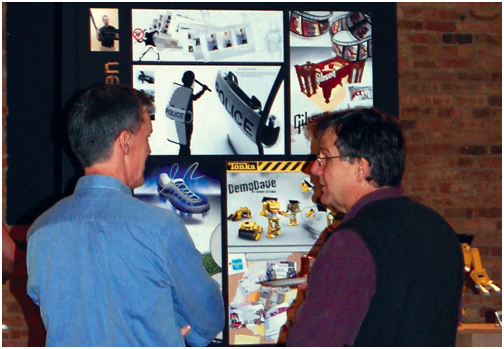 Graduating seniors from the Industrial Design Department exhibited their concept models for the attending students, family members, and professionals. Attendees were encouraged to vote for their favorite concept by placing a chip in the cup on its display. The Outstanding Portfolio Award went to Benjamin Jordan Taber for his RightStep, which offers mobility assistance to users who have difficulty climbing stairs on their own; the project also received an honorable mention at the 2008 Student Design Competition hosted by the International Home and Housewares Association. 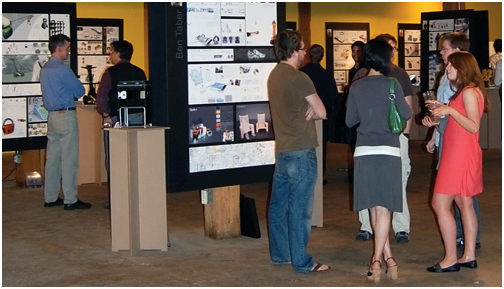 During the Mouth Off competition organized by Paul Hatch and James Dangora of TEAMS Design, images of the students’ designs were projected while participants, all from an industrial design background but with little prior knowledge of the products’ functions, presented their humorously incorrect interpretations and perceptions of the concepts. The most impudent and opinionated Mouth Off participant was declared champion.